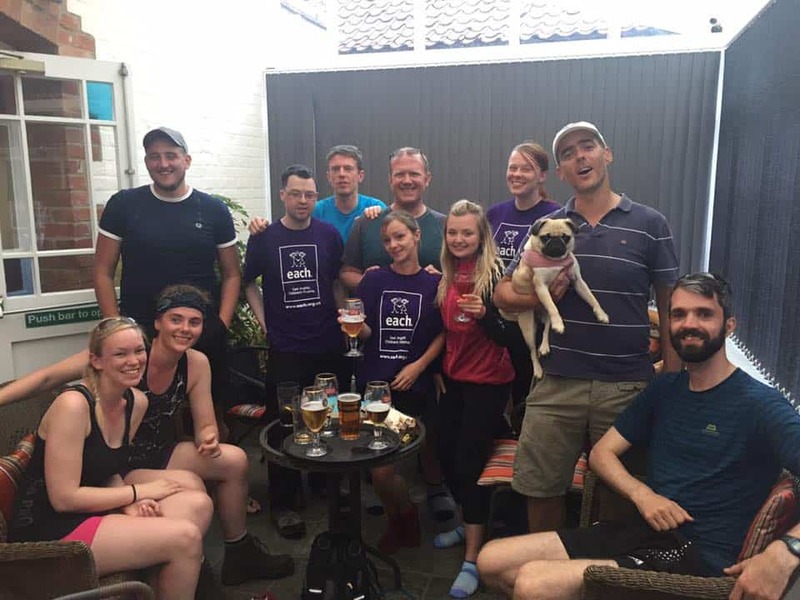 On the first weekend in July, 14 members of East Anglian accountancy firm Aston Shaw undertook a gruelling endurance walk along the Norfolk coast for local children’s charity EACH. Covering a combined total of 510 miles in just 24 hours, they walked through day and night over challenging terrain and battled the elements to reach their goal. Split into two groups- one walking 30 miles and the other 50 miles, team members trekked along the Norfolk Coastal Path over shingle and sand, through dunes and along miles of boardwalk. The 50 mile group started the challenge from Heacham at 7.30pm on the Friday evening and walked through the (very wet!) night, finishing 24 hours later in Cromer. 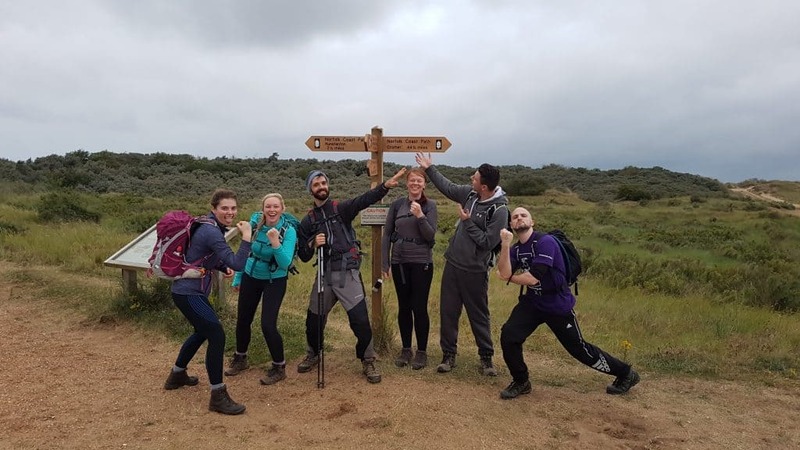 The second group began their 30 mile walk from Burnham Overy; both teams met up at their destination to swap stories and show off their blisters. Fortunately, the loss of feeling in everyone’s feet was made worth it by a celebratory pint at the end of the walk. This challenge was the third major fundraising event undertaken as part of Aston Shaw’s 3 year commitment to raise money for EACH (East Anglia’s Children’s Hospital)- a fantastic local charity which cares for children and young people with life-threatening conditions across Cambridgeshire, Essex, Norfolk and Suffolk. The charity relies heavily on donations from fundraising activities such as these, and the majority of the money raised by members of Aston Shaw will go towards the nook appeal- funding plans for a new, bespoke hospice to be built in the heart of Norfolk. This hospice will be equipped to provide the specialist services and support that patients and families need and ensure there are plenty of new facilities for children to enjoy.